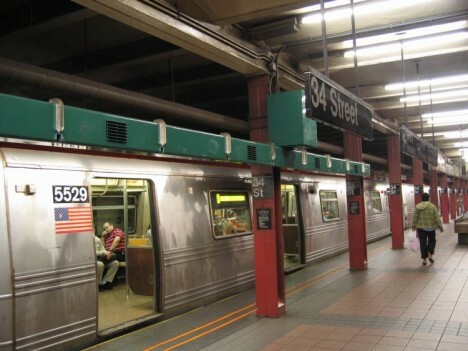 Even if you’re sick of the surface-level, tourist-friendly version of New York City, there are still many sights to be seen, including fun little secret installations right under your nose in busy places like Grand Central Terminal and subway platforms. 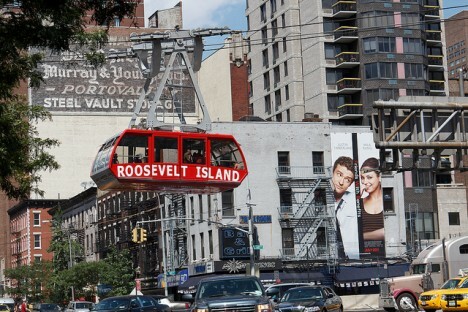 These 10 unexpected and little-known attractions in the New York City area include a tiny gallery in an elevator shaft, a slice of punk history, an actual piece of Berlin and a scenic tram ride straight to a stunning abandoned hospital on an island in the East River. If you see someone with their face in a corner and their lips nearly touching the walls in the middle of Grand Central Terminal, don’t worry – they’re not acting out the last scene of Blair Witch Project. They’re just whispering. 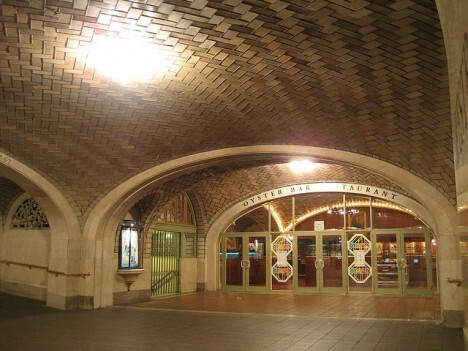 The ‘Whispering Gallery’ is an unofficial attraction created by the acoustic properties of the ceiling between two diagonal corners between the archways. Whisper, and the person standing at the opposite end can hear what you’re saying as if you’re talking into a megaphone. Have a friend stand on the other side, or just freak out random passersby, as seen in the video above. It’s located just outside the Oyster Bar. 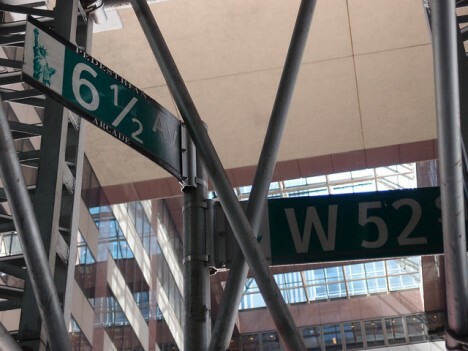 Like something out of Harry Potter, a street marked 6 1/2 Ave offers a semi-secret shortcut from 51st to 57th, and it’s only open to pedestrians. 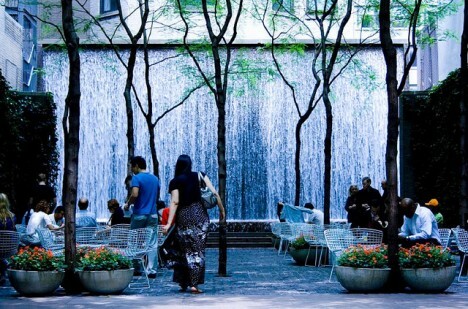 Take a break from screaming cabbies as you stroll (or whatever the New York City version of strolling would be called) down a slightly-slowed-down path through Midtown Manhattan, adjacent to the beautiful 20-foot waterfall in Paley Park. There’s another waterfall at Midtown East’s Greenacre Park at 217 East 51st St., as well as the five located within Central Park. 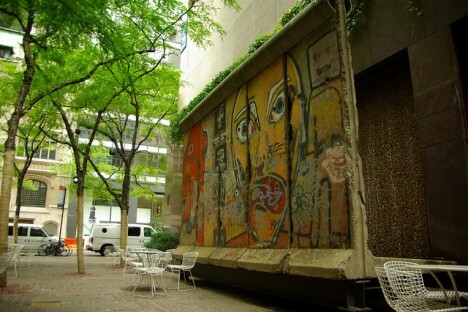 Speaking of Paley Park, this little pocket recreation space in the heart of Midtown at 3 East 53rd also boasts five sections of the Berlin Wall, originally located along the Waldemarstrasse and decorated by German artists Thierry Noir and Kiddy Citny in 1985. 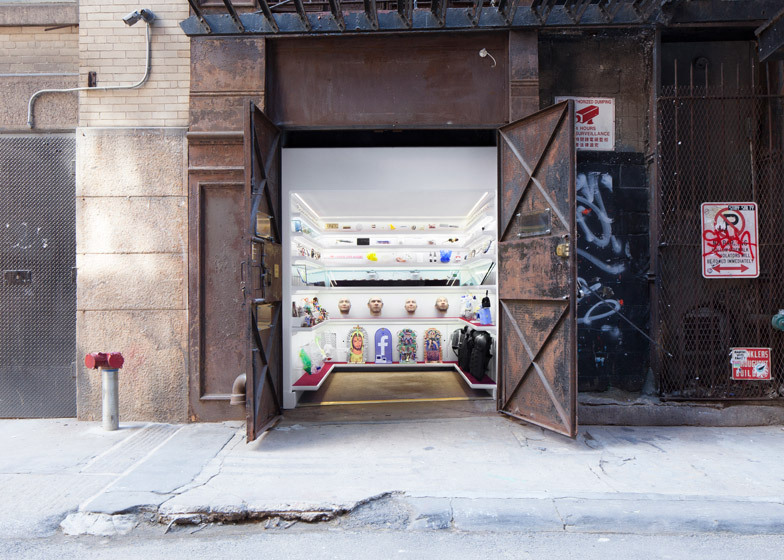 A little bit of New York City’s legendary punk heritage can still be found at 155 Avenue C, nicknamed C-Squat. 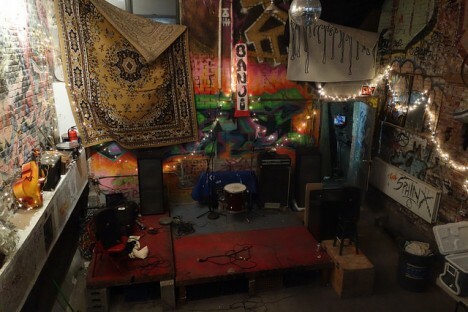 Squatters claimed the abandoned space in the ‘80s, rebuilding it to make it habitable, and started throwing punk shows in the basement in the ‘90s. The city hammered out an agreement with the long-term residents, allowing them to stay as long as they bring it up to code, so it will soon officially pass into the hands of a bunch of artists and musicians. The walls are still covered in decades’ worth of graffiti and murals. 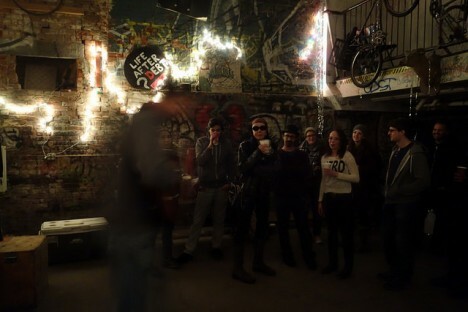 One of the last holdouts of old school punk culture in the city, it’s still used as a location for underground parties. 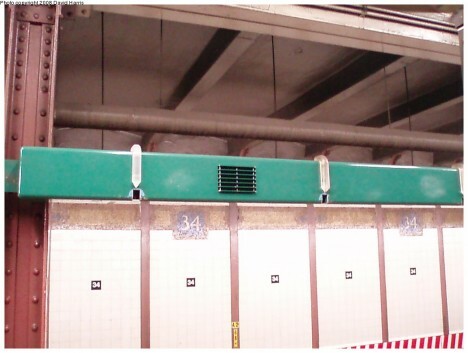 An unassuming pair of green metal bars blend into the walls of New York City’s 34th Street Subway Station, but pay closer attention and you’ll notice a sign alerting transit riders to an installation called REACH: New York. Created by Christopher Janney in 1995, this weird interactive exhibit features speakers embedded with motion sensors so that when you place your hand in front of one of the holes in the bars, you’ll trigger a sound. Move from one sensor to another to compose your own musical sequence. The artist changes out the sounds every year. Patients infected with smallpox, leprosy and other highly infectious diseases were once kept quarantined in a hospital on New York City’s Roosevelt Island, which treated about 7,000 people per year between 1856 and 1875. It was abandoned altogether by the 1950s and fell into disrepair before the Landmark Preservation Commission declared it an important part of the city’s heritage, reinforcing the walls. 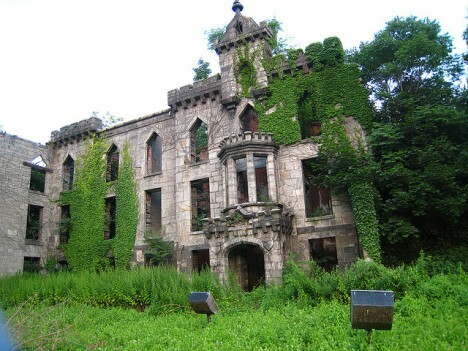 The island has also been home to insane asylums and prisons, and is now a great place to take a riverside walk and get a nice view of the Upper East Side. For the swipe of a MetroCard, you can take a scenic tram to gaze up at the hospital facades, check out a lighthouse and view some public art.